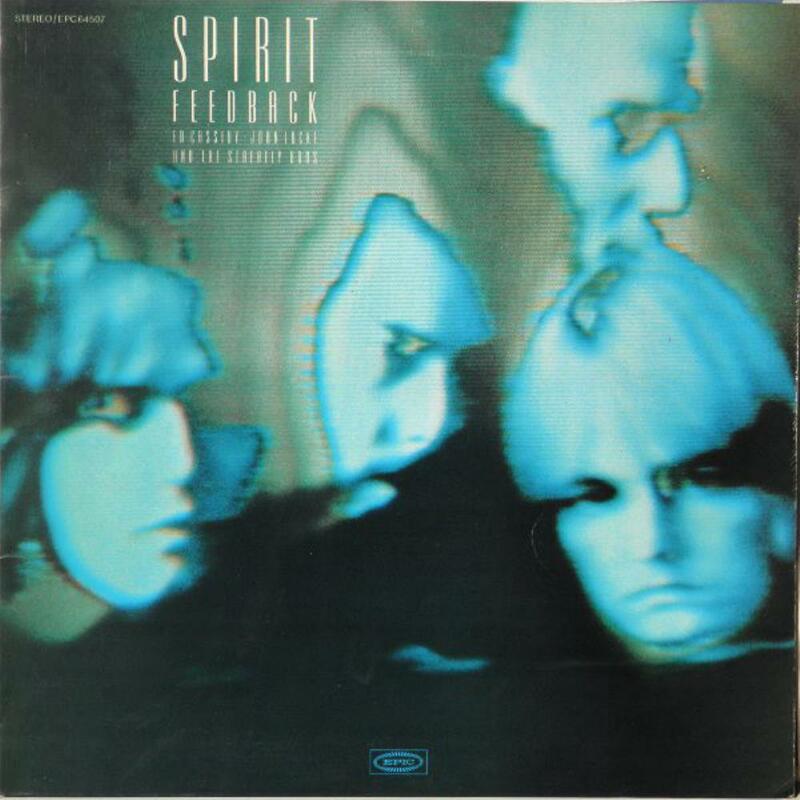 Spirit is a legendary psychedelic rock band that has never managed to achieve great success although their albums, mainly their early ones are regarded by fans and critics as masterpieces. Their history starts back in 1965, in San Francisco, when Ed Cassidy, an experient jazz drummer that played with Taj Mahal and Ry Cooder among others, Randy California, a 14-year-old guitar player whose mother would marry Ed and Ed would become Randy´s stepfather; Jay Fergusson and Mark Andes (Later Jo Jo Gunne) formed a band named The Red Roosters. The band was shortlived and in 1966 Ed and Randy moved to New York where Ed started to play jazz venues. In New York Randy once saw a guy playing a guitar in a guitar shop and they started to discuss techniques. They became friends and Randy soon became a member of the Jimmy James and the Blue Flames, band which his new friend was the leader. They played for three months in Cafe Wha and then Chas Chandler discovered the band and invited Jimmy to go to the United Kingdom. Jimmy invited Randy to go with him but Randy couldn´t since he was only 15. So Jimmy, whose real name was James Marshall Hendrix went to England and the rest is history. In 1967 Ed and Randy returned to California and they met by chance Fergusson and Andes, the members of The Red Roosters and they formed a new band named Spirits Rebellious, which was shortened to Spirit. John Locke, an experient keyboardist joined then and in early 1968 they released their first album, a mix of psychedelia, blues and jazz. The jazz accent would be a trademark of their early albums, mainly in "The Family that Plays Together" and "Clear", two 1969 releases. The first contained their biggest hit, "I Got A Line on You". In 1970 they released the album considered by fans and critics their masterpiece: "Twelve Dreams of Dr. Sardonicus", featuring experimental sounds, good arrangements and some of their most solid compositions. The band broke up in 1971 due to tensions between the members and in 1971 Cassidy and Locke joined the Staehely brothers and released "Feedback" which has nothing to do with the original Spirit sound. 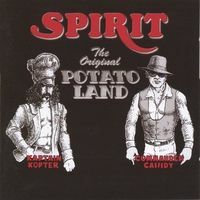 In 1973 Ed and Randy joined again and along with other musicians recorded "Potatoland" which was shelved and would be released only in 1981. Then they made their come-back in 1975 with "Spirit of '76" and released "Son of Spirit", "Farther Along" and "Future Games" before a break. "Farther Along" featured all original members except Fergusson and "Future Games" was kind of a Randy´s solo. Through 80´s and 90´s they released some albums, including "The Thirtieth Dream", featuring the original lineup. Most of the albums where in the format of a trio, though, always with Randy on guitar and Cassidy on drums. 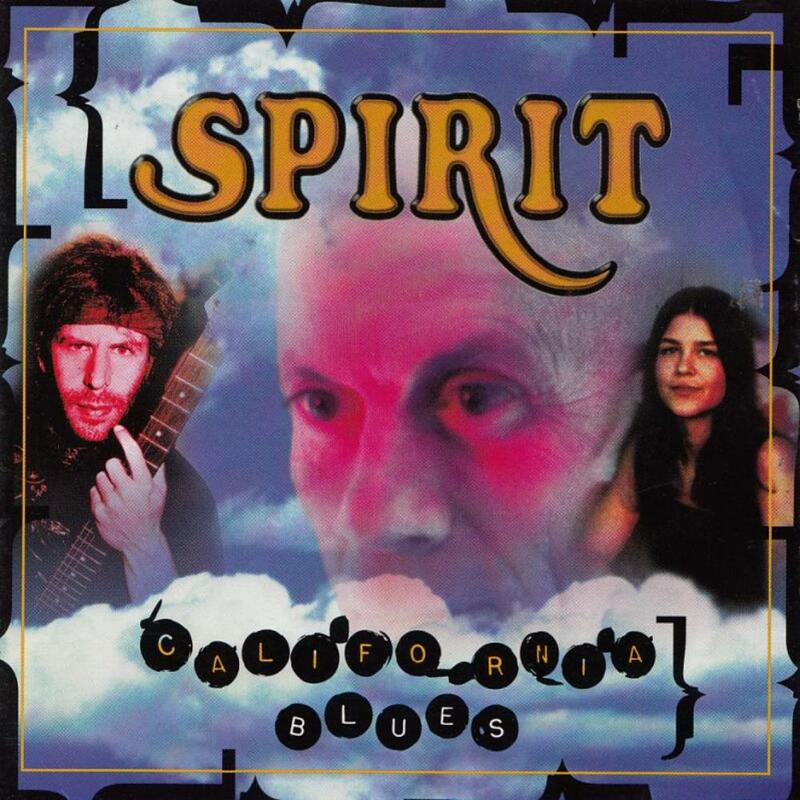 The story of Spirit ended sadly in 1997, when Randy California disappeared in the sea while swimming in Hawaii. But the glory of the band remains with their works, many times innovative, experimental and fusing lots of elements, mainly jazz and psychedelia. Their albums, mainly the first four are essential and helped to develop progressive rock. 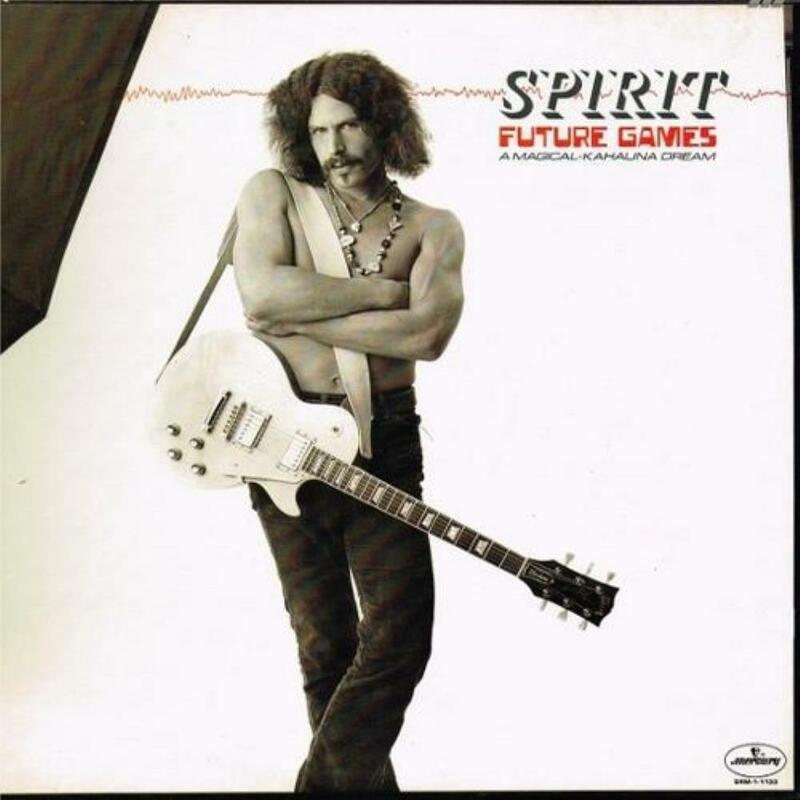 Many Spirit albums were released (and are still being produced) after California´s death comprising unreleased songs recorded by him alone and with the other Spirit members (he had hundreds of songs unreleased). Why this artist must be listed in www.progarchives.com : Their first four albums particularly helped to develop the progressive rock genre. 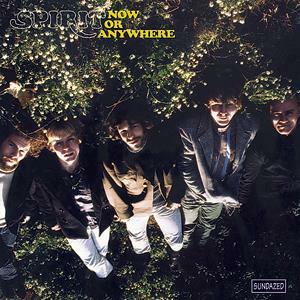 Los Angeles based SPIRIT were riding high after their eponymous debut album found some success and even hit the Billboard album chart's top 40. While they just released that album in January of 1968, after the entire group and their families having moved into a big yellow house in Topanga Canyon, north of LA in the countryside, they all resided together for the tail end of the 60s. The musicians in SPIRIT had the luxury to work together in a relatively serene and relaxed environment and diligently crafted a second album that came out the same year in December. The title THE FAMILY THAT PLAYS TOGETHER not only refers to the fact that drummer Ed Cassidy, a forty-something year old ex-jazz percussionist having been the step-father of the teenaged guitarist Randy Craig Wolfe or better known by his stage name of Randy California, but more due to the fact that the entire band along with significant others, children, pets, vices and idiosyncratic irritations were all shacked up together on a musical compound where they could practice their own 60s version of peace and love and take their music to new places hitherto unheard. And that's exactly what they did. SPIRIT's sophomore album shows a more mature band sound that took the psychedelic rock, contemporary folk, classical and jazz- fusion elements of the debut and found them woven together in a tight musical tapestry with that off-kilter 60s psychedelia basted in a strong steady backbeat. One again Marty Paich made a reprise with his unique stamp with arrangements for string and horns which added the proper symphonic backing that with the jazz-tinged rock pieces created a veritable progressive rock template for 70s symphonic bands to expand upon. 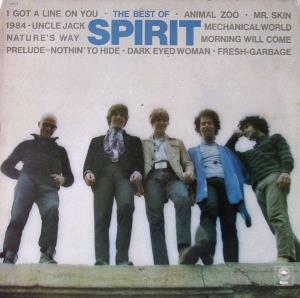 While SPIRIT never cranked out the hit singles, the opener "I Got A Line On You" was the exception as it was the band's only top 40 hit of their existence and the one track that everyone has surely heard if they have delved into 60s music at all. While that single and the closer "Aren't You Glad" add heavier aspects of rock complemented by Randy California's use of double guitar tracks, for the most part THE FAMILY THAT PLAYS TOGETHER is a more subdued mellow affair with the emphasis on exquisitely designed compositions that are cruising on California West Coast chill mode than anything close to the heavier Cream and Hendrix sounds of the day. 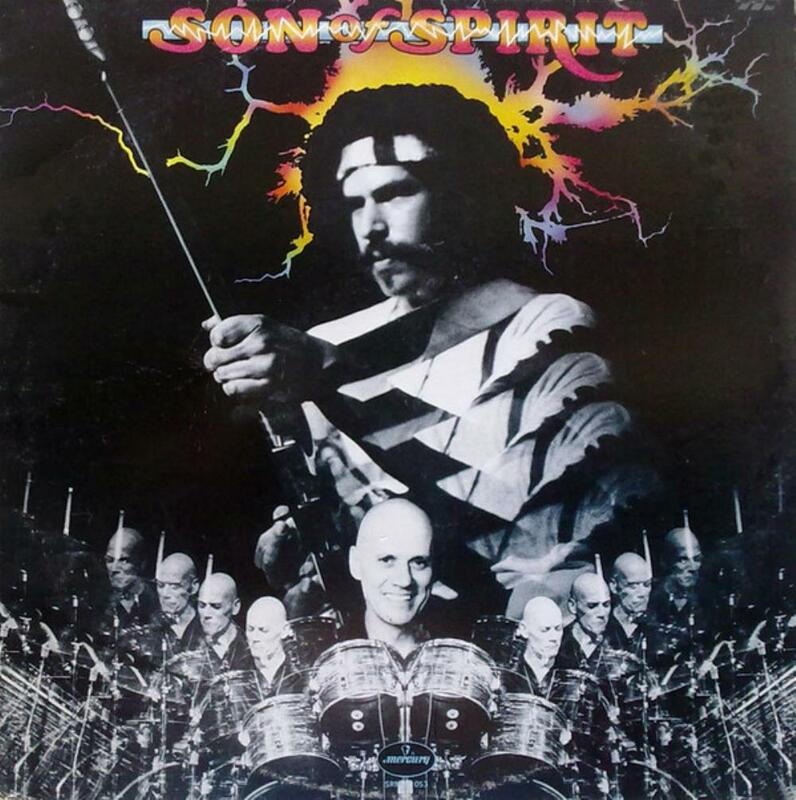 Part of SPIRIT's eclectic inspiration stemmed from the fact that Barry Hansen, who would become the kind of parody as Dr. Demento who specialized in novelty songs and comedy, had a huge collection of music in the same house that he was sharing which allowed the band to peruse the vaults for musical inspiration. And that is exactly what SPIRIT sounds like to me. There are so many tiny snippets of sounds that remind me of both past and future acts that one could rightfully write quite a lengthy thesis on the matter. The music on THE FAMILY THAT PLAYS TOGETHER is generally characterized by a strong groovy bass line that anchors the melodic development. The guitars and keyboards provide unique and progressive counterpoints with Cassidy's jazzified drumming style adding yet another eclectic layer. The band had mastered the art of harmonic vocal interaction much like The Beach Boys or The Mamas and the Papas but were more sophisticated than the average pop band of the era despite having cleverly crafted pop hooks that took more labyrinthine liberties. 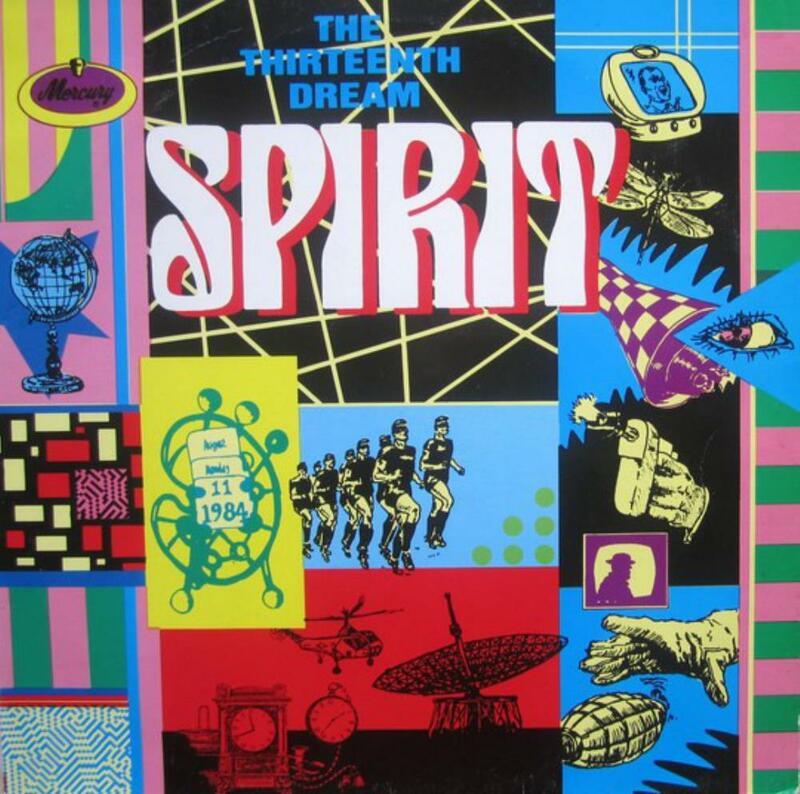 During the year 1969, SPIRIT were at their popular (if not creative) peak with two hit albums and a top 40 single under their belt. While the band never hit the big time, during this brief moment in history, it was THEY who were the headliners while bands like Led Zeppelin, Chicago and Traffic were opening for them. While at the Atlanta Pop Festival, they performed to over 100,000 music fans in the audience and Randy California rekindled his friendship with Jimi Hendrix, with whom who briefly played in Jimmy James & The Blue Flames. THE FAMILY THAT PLAYS TOGETHER is an excellent sophomore release from SPIRIT. While the debut may have had a few more flashy jazz-fusion moments, this one has a more cohesive band sound which shows a clear dedication to finding the ultimate band chemistry at play. Laced with subtly addictive hooks and sophisticated progressive undercurrents, THE FAMILY THAT PLAYS TOGETHER is actually a little more accessible on first listen although it's slightly more angular than the average pop rock band of the era but still a testament to SPIRIT's unique musical vision. Rising out of the ashes of a prior band called The Rising Sons centered around The Ash Grove venue in mid-1960s Los Angeles, a new band emerged from many bands that frequented that same establishment. The members included percussionist Ed Cassidy, lead vocalist Jay Ferguson, bassist Mark Andes and guitarist Rnady California. The like minded musical misfits started a folk rock band called Red Roosters where they managed to score the odd high school dances and small venues around L.A. but after taking a hiatus and a cross-country trip to New York City Randy California had the chance to briefly play with Jimi Hendrix in Jimmy James and the Blue Flames but ultimately was denied moving with the band to London by his parents due to his tender young age of 15. Slightly dismayed he had to head back to California to reform his prior band and with the addition of keyboardist John Locke, he and the other Red Roosters team opted to change their name to Spirits Rebellious and that's when the true magic started to gel. Joining in on the "Summer Of Love" hippie scene after a trip to Griffith Park, the members of the band rented an entire house in Topanga Canyon and lived together with significant others, children, pets and pretty much everything else. 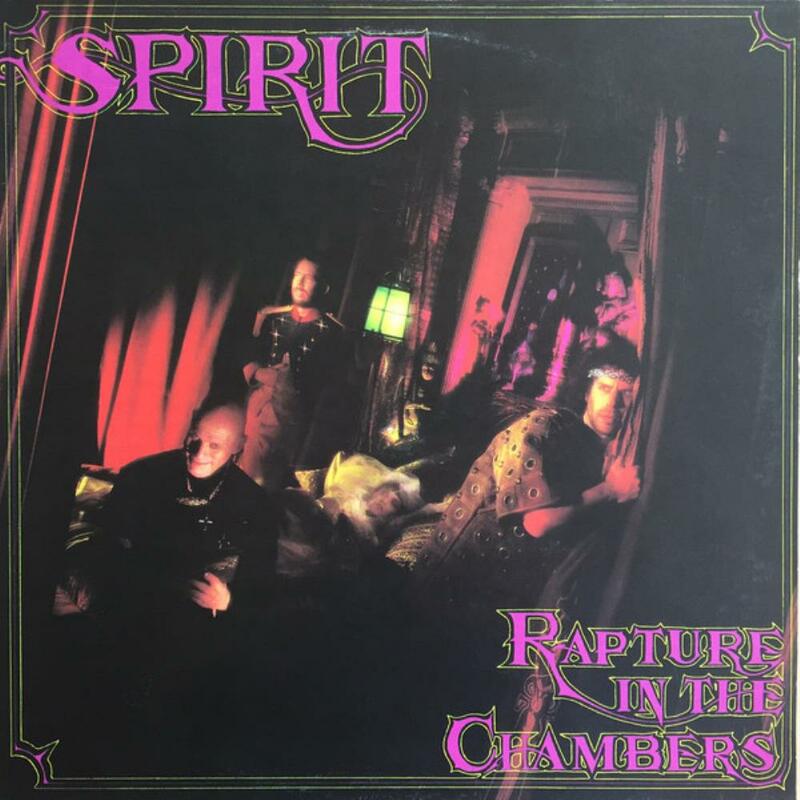 This is the time where the inspiration for SPIRIT's eponymously titled debut album came from. 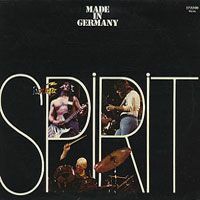 After truncating their name to simply SPIRIT, the band started to make waves by having an utterly unique sound that took the disparate styles of 60s folk and psychedelic rock and married them with the more progressive jazz-fusion styles that were emerging. The band hit upon the right sound and found success with their debut which hit #31 on the Billboard chart and found a significant amount of FM radio play as well. Likewise they were successful on the touring circuit because of not only their unique sound but their oddball appearance due to drummer Ed Cassidy's skinhead look which set him apart from the long-haired hippie scene of the era. 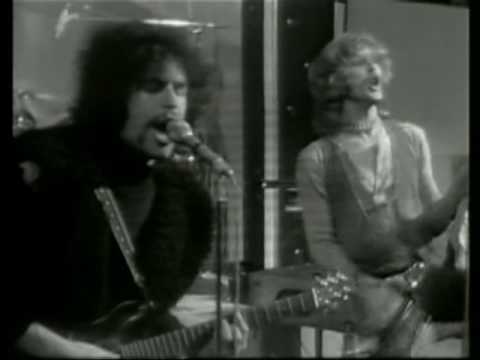 While SPIRIT's debut is probably better known 50 years later as the album that Jimmy Page stole the beginning riffs of "Stairway To Heavena," the irony is that in their humble beginnings, Led Zeppelin actually opened up for SPIRIT and it has been determined that Page also was inspired in many other ways as well including using the theremin mounted to his amplifier as well as some of the progressive out-of-the-box ideas that SPIRIT deftly utilized. 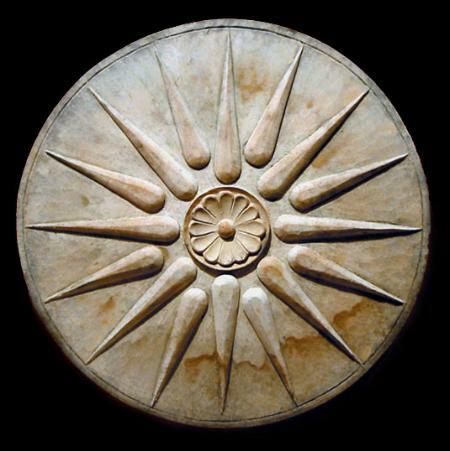 Unfortunately despite the similarities of "Stairway To Heaven's" opening arpeggiated riff with that of SPIRIT's "Taurus," a copyright infringement suit was unsuccessful in a legal sense but in retrospect has gained SPIRIT some sort of publicity albeit in a roundabout way which is better than nothing i suppose. The court of public opinion seems to have sided the other way around however it has also been claimed that the riff originated in 1659 in a classical composition called "Sonata di Chittara, e Violino, con il duo Basso Continuo" by Italian composer Giovanni Battista Granata. 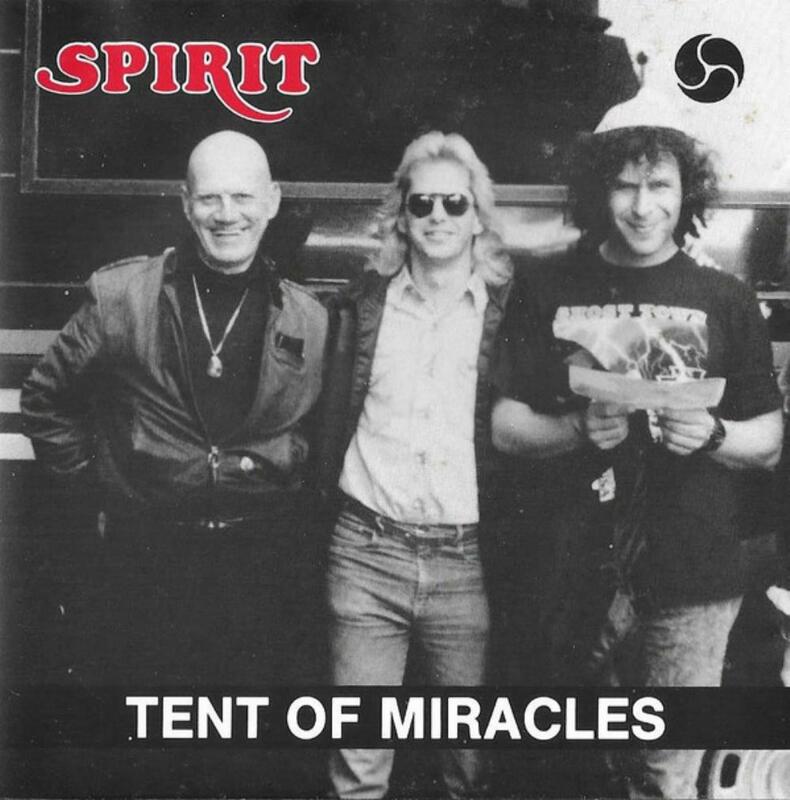 Listening to SPIRIT's debut album and thinking of them touring with Zeppelin seems like an odd match. While Zeppelin rocked the house with ballsy bluesy bravado, SPIRIT is much more subdued with an earthy folk and even psychedelic rock feel that gentle flows with a more sophisticated jazz-rock compositional approach sort of like a proto-style of Steely Dan if you will. While the tracks are diverse, they pretty much follow a strange yet pleasant path down a mellow folk tinged vocal style where Ferguson does his best Byrds impersonation while Locke on keyboards and Cassidy provide a more jazzified rhythmic groove. California's guitar straddles somewhere in between folky blues and jazz. While most tracks side on the folk rock aspects, the final near eleven minute track displays some of the most progressive oriented rock of 1968 with the closer "Elijah" which unleashes the full on jazz-fusion and time signature freak outs. This track has been a staple in live settings where the band would take turns improvising solos. There are parts in this one that make me think Golden Earring developed "Radar Love" from this one as well. SPIRIT was an amazing band that didn't really get their just dessert. While achieving minor success during their heyday, it seems that they were more successful in inspiring other artists than actually achieving greatness themselves. Their debut was really ahead of its time and despite the critics lauding words of praise, they failed to attract the masses in droves to their musical cause. 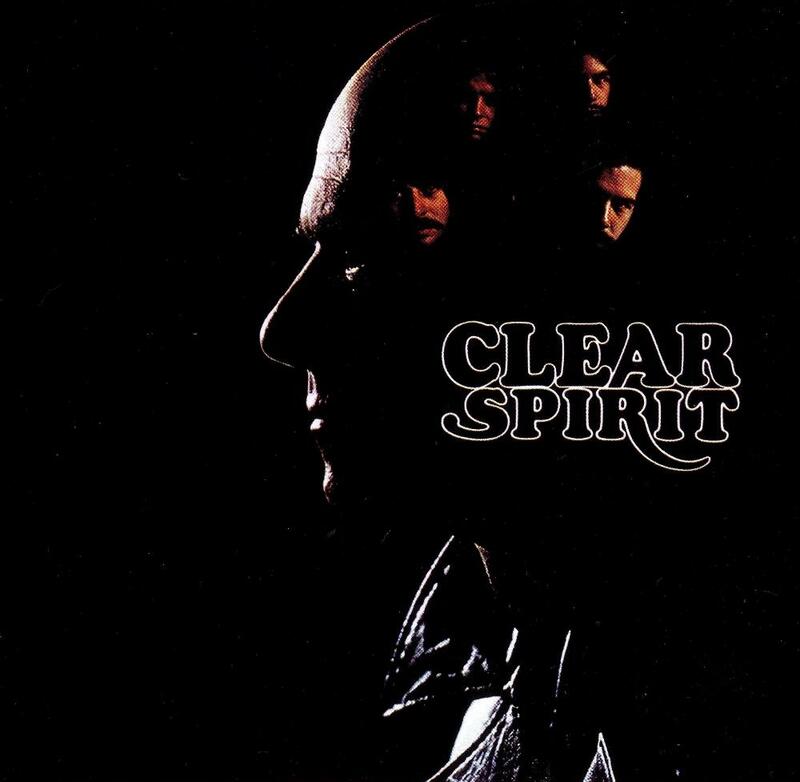 SPIRIT delivers a subtle but powerful sort of sound. It never really rocks the house but rather wriggles around a strange jazzy lounge lizard labyrinth of chord progressions with idiosyncratic intricacies and therefore isn't one of those albums that is instantly catchy but rather demands a little time to let it sink in unless the listener is well-steeped in progressive rock and jazz-fusion constructs. Personally i find SPIRIT to be an unsung hero of the 60s as i hear all kinds of juicy tidbits that seem to have inspired future artists in the 70s who took them to the next level. 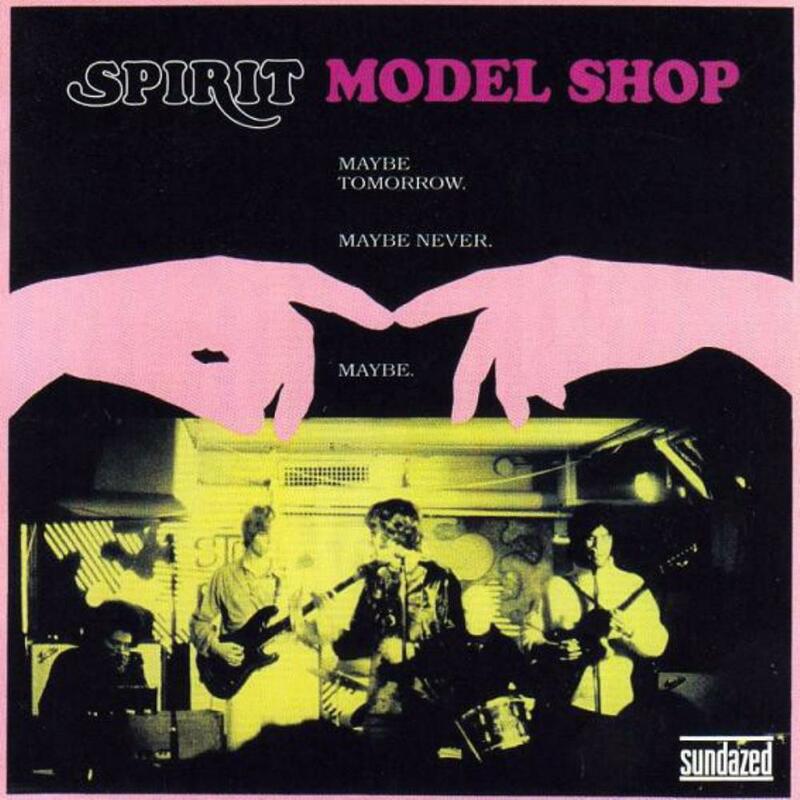 While SPIRIT's future releases would get more adventurous, the debut is a nice gentle mix of a classic 60s feel with subtle complexities. A very nice mix indeed. Mostly what you can expect from a psychedelic band. Also, it contains some AOR radio favorites Nature's Way, and Animal Zoo. But after those two, we get our first (what I would consider) prog song: Love Has Found A Way. Then there is the folksy-acoustic Why Can't I Be Free. Next is the 60s boogie number Mr. Skin (think Dr. John). Space Child is a nice psychedelic prog piece, if lounge-lizardy piano with a Moog in the middle. Then When I Touch You begins with a visit from Sid Barrett's fuzzy things, and then some raw rock guitar, which with keyboards, builds into a sort of atmospheric anthem-paced rocker. This one definitely leaves you with the feeling that you listened to some development. Street Worm rises above its potential as a formulaic rocker. A glam Morning Will Come is notable toward the end, but that about wraps it up. I'm going to rate this as a fine addition to a collection. Definitely some well-done songs, but it never rises past the level of some good pop/rock. Still rather good pop/rock, and a solid album. To the untrained late 60's listener (such as myself), this may sound as a fusion of Brit psych pop in the vein of the more cheerful aspects of The Beatles and The Moody Blues (e.g. "Uncle Jack") with an intermittent injection of jazzier elements and the 'looseness' of some The Doors compositions - see for example the intriguing jazzy middle sections of "Fresh-Garbage" and "Gramophone Man". It appears to me that the album tilts more towards psych-pop than psychedelic rock and builds more on accessibility rather than mature song-writing. There are exceptions to this with the highlight "Mechanical World", a dark, slow, captivating composition with serious progressive leanings, a memorable solo and epic use of background keyboards. "Taurus", which follows, is a nice atmospheric interlude with a melody ahead of its time (as it has been proven to be!!). The long "Elijah" is potentially the most innovative piece, which reminded me of The Doors in its main theme. Unfortunately, the jazzy improvisations derail the whole composition and the numerous returns to the main theme don't do much to save it. The rest of the album flows in a rather pleasant/ok mood but somehow 'directionless', with naive, albeit catchy at times, melodies. 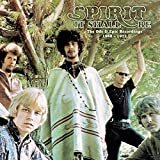 Potentially ahead of its time, but seldom convincing for its potent, Spirit's debut may be a pleasant listening experience for the late 60's fans but somehow fails to maintain consistency and make a mark in my books. 2.5 stars. Right at the outset, Spirit was a band that had a lot going for it. With their first album in 1968, they were active at a time when rock music was turning into an art form -- a medium for mixing and matching styles and influences, and seeing how interesting you could make it. The members of Spirit were seemingly united in their desire to take advantage of this new musical renaissance. The band hailed from Topanga Canyon near LA, neighbors of Neil Young and right in the middle of a frothy brew of local talent. 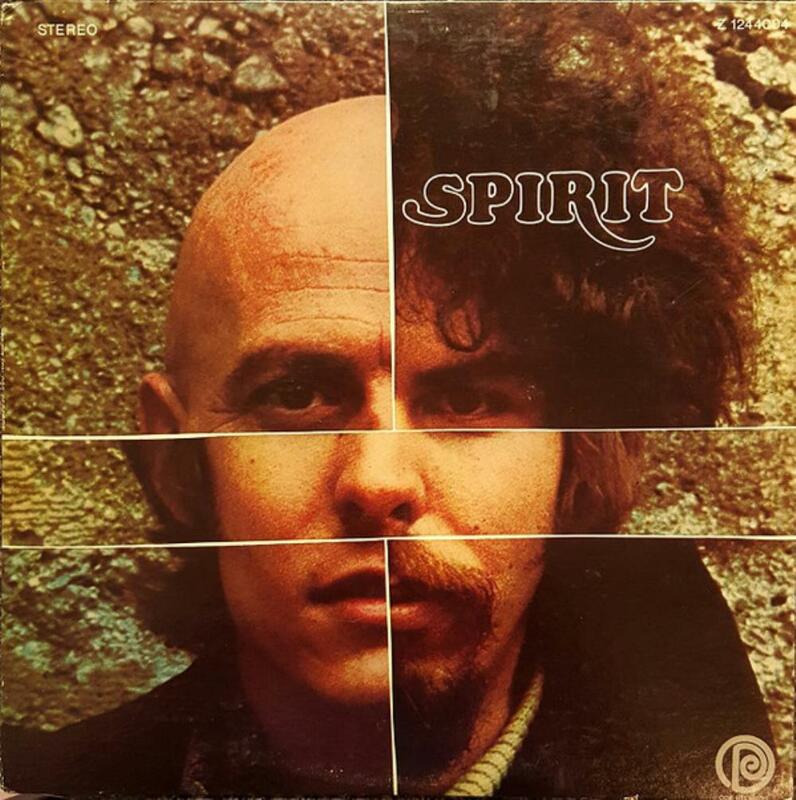 Spirit also had chops galore - the Hendrix protege' Randy California was a commanding presence on guitar even at the age of 16, and John Locke (electric piano) and Ed Cassidy (drums) both had extensive jazz experience. The band even had the looks -- not exactly handsome, but striking, and the right look at the right time. Take a look at the back cover of this LP and tell me those guys weren't hip. And yet, this debut album was just a bit too quirky, too unclassifiable, to really invade the public consciousness like it could have. Is it psychedelic rock? Blues? Jazz? What are those orchestral arrangements doing in there? Why are they singing about garbage cans and some Robin Hood character? All valid questions for the young audience at the time. 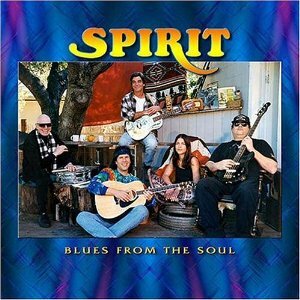 Were Spirit too eclectic for their own good? Perhaps if they'd been a little easier to pin down, they might be as well known today as, say, Buffalo Springfield; and yet, they remain a relatively obscure band. This debut album is sneaky. It never really shows you all of its cards. These songs often have surprisingly high-energy instrumental sections inserted in the middle of otherwise downbeat pop songs ("Fresh Garbage", "Straight Arrow", "Gramophone Man", "Topanga Windows"). They strongly suggest mainstream pop with their Marty Paich-arranged string parts, and yet everything else about the song screams "underground!" There's a 10-minute jazz instrumental closing the album ("Elijah"). To put it succinctly, the strange collision of styles on an essentially low-key, mellow album makes for a fascinating experience for listeners curious to hear how many different styles can all co-exist. Less sympathetic listeners would probably dismiss it as "unfocused", but I don't ever get the impression that the band wasn't sure what they were doing. 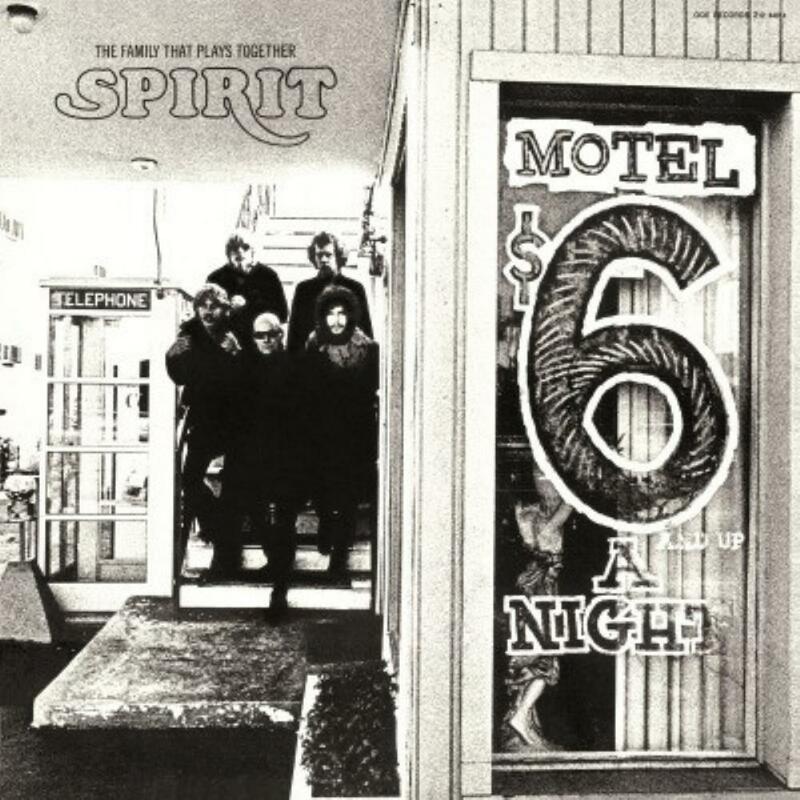 Not Spirit's absolute best album, but a pivotal first step, and pretty much set the tone for their next few albums. Jay Ferguson's lead vocals (he also writes most of the songs; future bandleader Randy California had not come into his own as a songwriter yet, notwithstanding the lovely instrumental "Taurus") are pretty tentative compared to his beautiful work on future albums, but his songcraft is already first-rate and eclectic as heck. I like to think there is a parallel universe wherein Spirit are a household name like Hendrix. They really do seem to define the times they existed in, even as they continually throw curveballs on this puzzling but highly accomplished and successful debut album. "You have the world at your fingertips, no one can make it better than you." The same opening phrase is the last phrase of this Spirit work. A concept album? I don't know, but it's good. Dr. Sardonicus was the nickname for the Spirit mixing desk at the studio (maybe inspired by the Willian Castle's 1963 horror movie). The album have twelve tracks. So this is the Twelve Dreams of Dr. Sardonicus. Randy California played in Hendrix's band The Blue Flames, and his second name was given by Hendrix to distinguish him - the band had two Randy guys, Randy Texas and California. This album was produced by David Briggs (Neil Young), and this is the only relevant piece in their full discography. And in my honest opinion - it's a brilliant album, from the first track to the last. Prelude/Nothing To Hide start the album slowly and beautifully, so it suddenly turns into a great psychedelic rock and roll. The guitar tune is great, and the riffs too. According to the booklet, Nature's Way have been helping people fight against inner struggles since the album release. And of course, this song, together with Mr. Skin, are the best known songs from the band. Animal Zoo is easily one of the most influential psychedelic tracks at the 70s. But the crowd always used to joke with the lyrics ("much too fat and a little too long). Love Has Found a Way, Why Can't I Be Free and Space Child are spacey tracks, where John Locke use his keyboardskills, very catchy atmospheric stuff.From When I Touch You to the last track, you will find awesome and unique rock riffs! An awesome album, essential one from any psych/prog rock collector. A masterful release by Spirit and a perfect snapshot of the strange transition period when psychedelic rock's time in the sun was coming to an end and progressive rock was emerging from its elder sibling's shadow, these Twelve Dreams of Dr Sardonicus take the listener on a wild and diverse trip, held between folky acoustic gentleness, psychedelic head trips, and some downright rocking numbers, often within the same song (just check out that incredible transition in Prelude - Nothin' to Hide!). Nature's Way is an absolutely incredible song which I could just listen to over and over again forever, but the whole album is an essential for psyche- prog fans. Who can resist a good song? 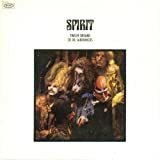 The American group Spirit had already released three psych albums in the late sixties before this relatively 'normal' rockalbum was released, which is often seen as their best. The band impresses with it's long list of songs that all work really well, being both melodic and atmospheric. Perhaps Supertramp had a good listen too. When it comes to style it reminds me of same period The Who and Blue Oyster Cult. Rock with melodic twists, dual vocals, use of effects and keyboards and tiny bit of American glamour (which I'm not too fond of myself). Moreover, without the few progressive moments on the album I wouldn't have thought this had been a psychedelic rock act. All songs flow into each other very naturally, exploring many emotional landscapes and varied ways of arrangements possibilities. Artistically, the broadness of ideas reminds me a bit of the better moments of the Beatles. Not a single song stands out for me, because I like all of them almost equally much. Sometimes the music has that typically American 'feel-good vibe', but it still works for me - which is saying a lot. Conclusion. Not too much to say here except that it's a great early seventies rock album that should be engaged as such, not as a progressive work. Four stars and recommended to fans of the named bands and those who appreciate seventies quality song-writing and style in general. This album also has some 'missing-link'-like qualities. 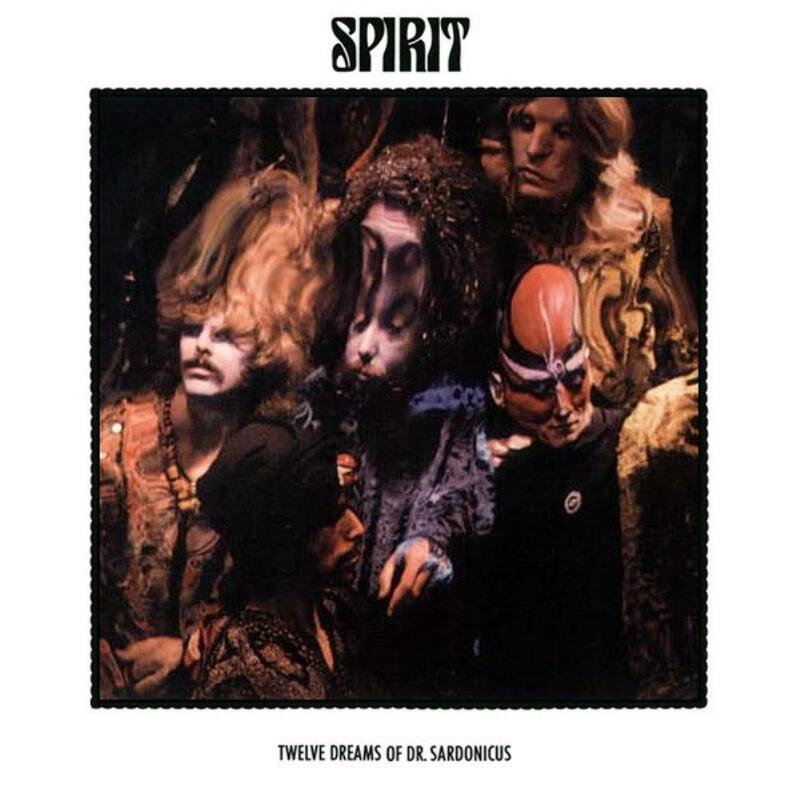 I first heard the band Spirit through their acclaimed opus, THE TWELVE DREAMS OF DR. SARDONICUS, and it is still a jaw-dropping psych-pop album with trace influences of jazz and classical ideas. That album sounded very carefully constructed with great hooks, a serviceable yet tasty sense of variety and great replay value. 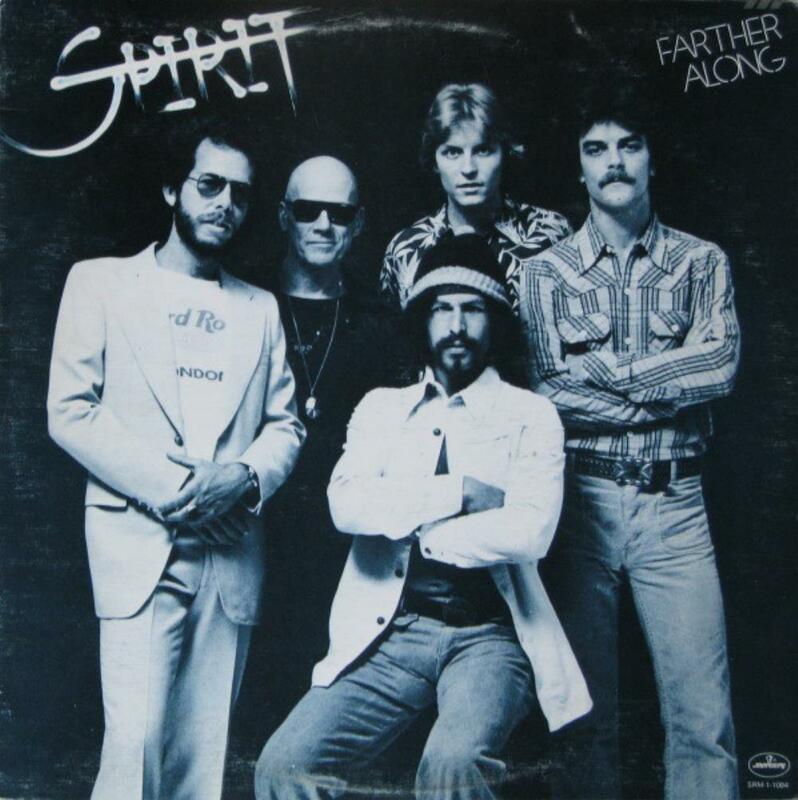 SPIRIT, the album, is more aligned with jazz-pop with heavy psychedelic influences (of the times). The big difference between this album and DR. SARDONICUS is the writing. DR. SARDONICUS was more evenly split between guitarist Randy California and singer Jay Ferguson (for the most part; keyboard player John Locke got some of his stuff through), and the quality of the output shows. Here on SPIRIT, the writing is almost entirely Ferguson's. While I'll get to the goodies in a bit, many of the songs like ''Topanga Windows'' and ''Uncle Jack'' sound rather unsure of themselves and amass to nothing. The opener, ''Fresh Garbage'' is a treat with a memorable piano/bass hook, simple yet effective lyrics (particularly to those with a green agenda), a crisp, smooth vocal delivery and even a divergence into swinging jazz in the middle third of the tune. The tune ''Gramophone Man'' (a complete band effort) is similar, but with a tongue-and-cheek stab at radio-inclined music executives and more of a groove in the verses. 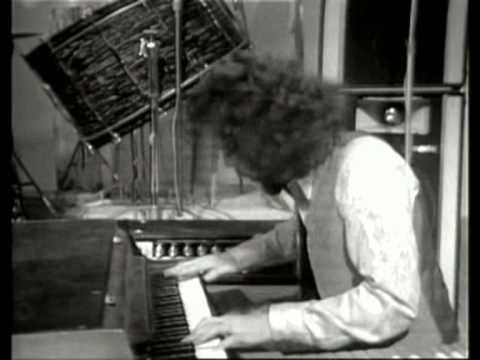 Randy California's only solo contribution, ''Taurus'' is an okay guitar instrumental that's cute for five minutes because it sounds like the opening to one ''Stairway to Heaven''. Other than the sinister mood of ''Mechanical World'', the rest of the album is a dud. Even the lengthy ''Elijah'' can't do anything to put SPIRIT on the upswing. In fact, it's the reason my rating is harsh because despite the jazzy melody, the tune pointlessly muddles into the ''everyone-gets-their-turn-to-solo'' snorefest that gets tiring fast. 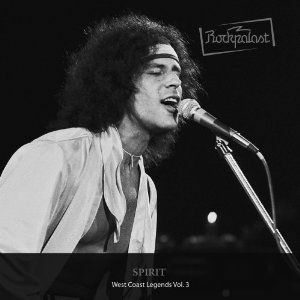 If you love Spirit or West Coast '60s psych pop, get SPIRIT. 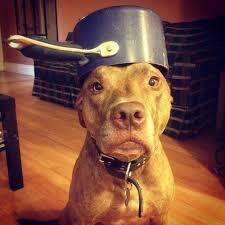 Don't be too disappointed if you find this as mundane as I do. A record with an interesting story. A goofy concept album originally recorded in 1974, it was shelved for years before it was cleaned up an finally released on Rhino Records in 1981. 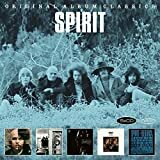 The original lineup of Spirit was long defunct by 1974, but Randy California and Ed Cassidy had still been putting out quality material as a duo (albeit much different from the original Spirit sound) for a few years. 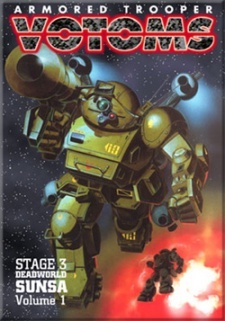 The concept itself is pretty light, just a science fiction thing depicting a world in which the people are potatoes and carelessly march to their own demise in the fryer, or something like that. Within this scenario, our heroes, adventure seekers Kaptain Kopter (California) and Commander Cassidy (Cassidy) wander the landscape and comment on what they see. Bits of dialogue and sound effects come between some fully-fleshed out songs. Nothing really happens, though - it's just kind of goofy fun. On the other side of the record, we just have a few stand alone songs, including one that had to have been recorded in the 80s, the corny synth-dance piece "Potatoland Theme". On the whole, the album is mostly just a curiosity, not really the "lost classic" that true believers maintain it is, but it's a bit of fun and the songs are generally good to great - the best being the insanely catchy instant classic "Turn to the Right" and the even more jangly melodic "My Friend".